New mobs for your Minecraft worlds. 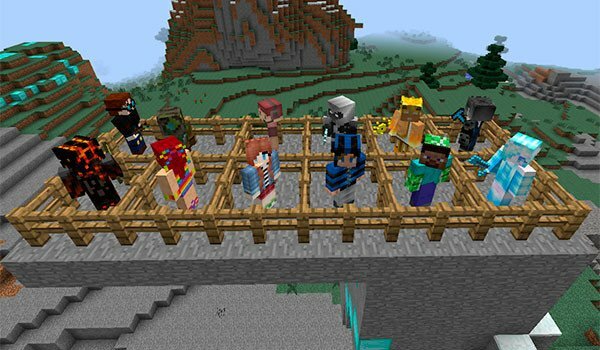 Epic People Mod 1.7.10 is a mod that adds new things to the game that can be classified into different groups, hostile mobs and neutral mobs. However there are some cases that the hostile mob’s power and life is so heavy that you can catagorize them as bosses. After killing some of these enemies will get attractive prizes. Although this won’t be easy by any means, as the lives of some of these bosses is between 500 and 5000, so … take care of getting good equipent, skill and patience. How to install Epic People Mod for Minecraft 1.7.10? New powerful beings wandering around your Minecraft worlds!